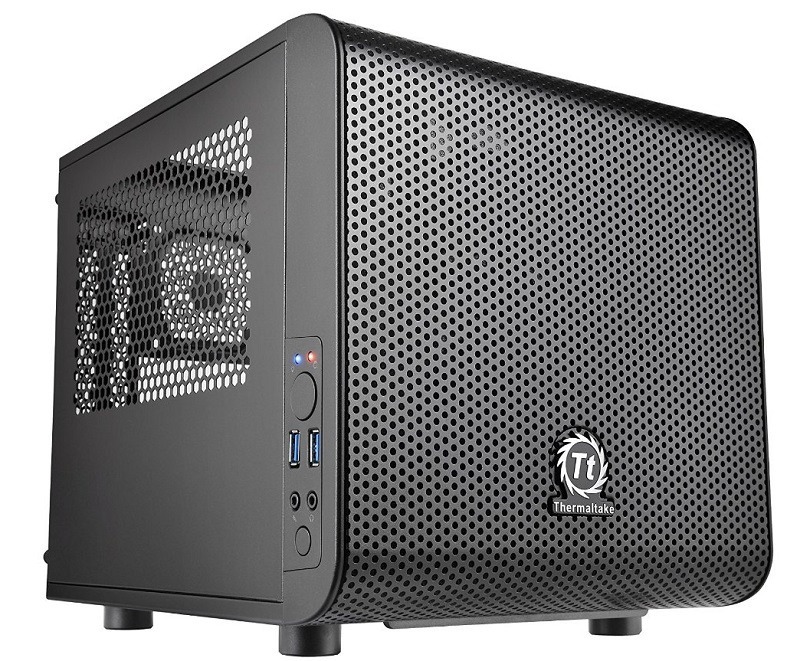 If you want to have fun along with acquiring the least space, then consider going with a mini-ITX case. They not only save you much space but are also good at keeping your system cool. 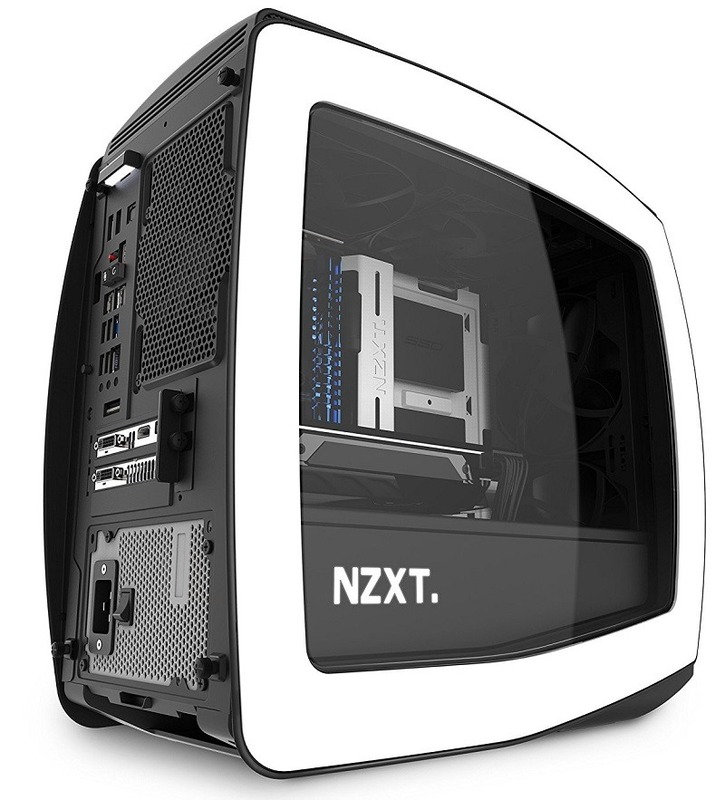 For a more compact and portable gaming system, Mini-ITX gaming cases are the way to go. If you have a budget gaming system or even high-end gaming components, you can still fit them in the most compact gaming cases that are available today. These cases have got hundreds of positive reviews and serve best if you want to take your system to your friend’s house for a little party. 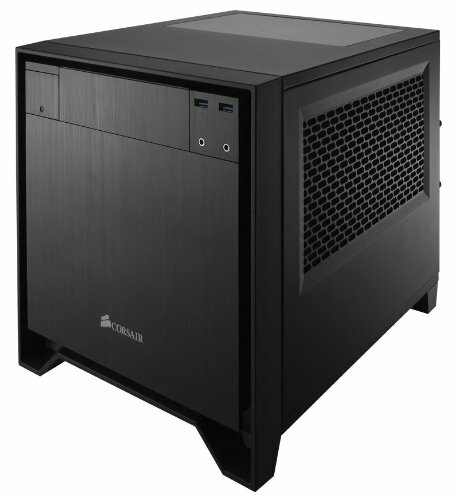 These cases are compact but still have a lot of ventilation and cable management features which will allow you to maintain the temperatures below critical. Not only this, these cases look decent and have a modern design to show off. 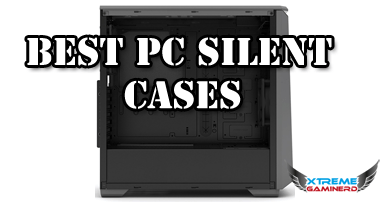 But remember these cases are only for Mini-ITX motherboards and will not support any other form factor motherboards. 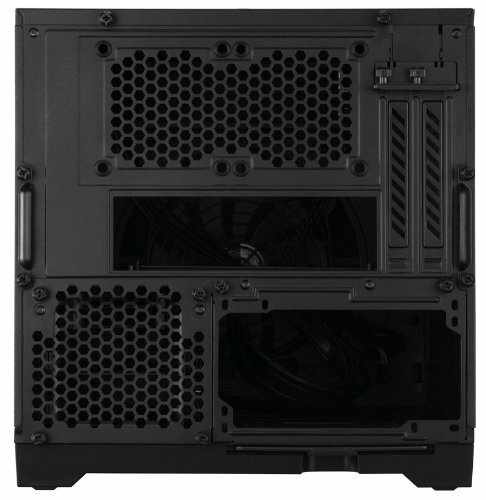 Cooler Master Elite 130 Mini-ITX case is one of the cheapest options which supports triple fan GPU and has an immense amount of ventilation in a compact space. It also comes with two pre-installed fans and a lot of space for proper cable management. Cooler Master Elite 130 is the best cheapest option to go when you want to build a gaming rig which is portable and compact. It has multiple features which allow you to do easy cable management. The motherboard is mounted at the bottom and on top, the power supply. It is a unique design that lets you adjust all of your components easily in one small box. 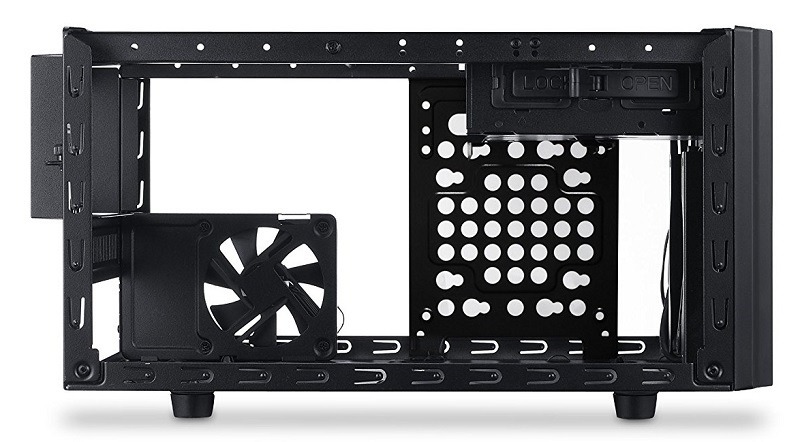 Every side of this case has several small rectangular holes for ventilation and it is required as it will generate a lot of heat especially if you use a high-end graphics card and overclock it. It can support graphics cards with length up to 343mm but supports only standard sized PS2 power supply and don’t come with pre-installed one. For cooling, it comes with a 120mm fan included at the front and one 80mm fan on the side. Graphics cards with 2/3 fans can be easily installed in this case, this makes it a good option over many mid-towers that aren’t able to support the graphics cards like Zotac GTX 1080 or GTX 1080 Ti. The front of the case also comes with the mesh for easy airflow. As the sides are also provided with a different type of mesh, it’s important not to limit the cooling on two sides. Now with this case, you will have no problem of air flow. For storage, it supports up to 1 ODD, 3 HDD’s and 4 SSD’s which is a real deal in a compact case like this and in the front panel, 3 USB ports and audio output/input jacks are also provided like any other mid or full tower. A perfect compact case which has good ventilation and long graphics cards support. With a price under $40, this is a beast which comes with good cable management and two pre-installed fans. 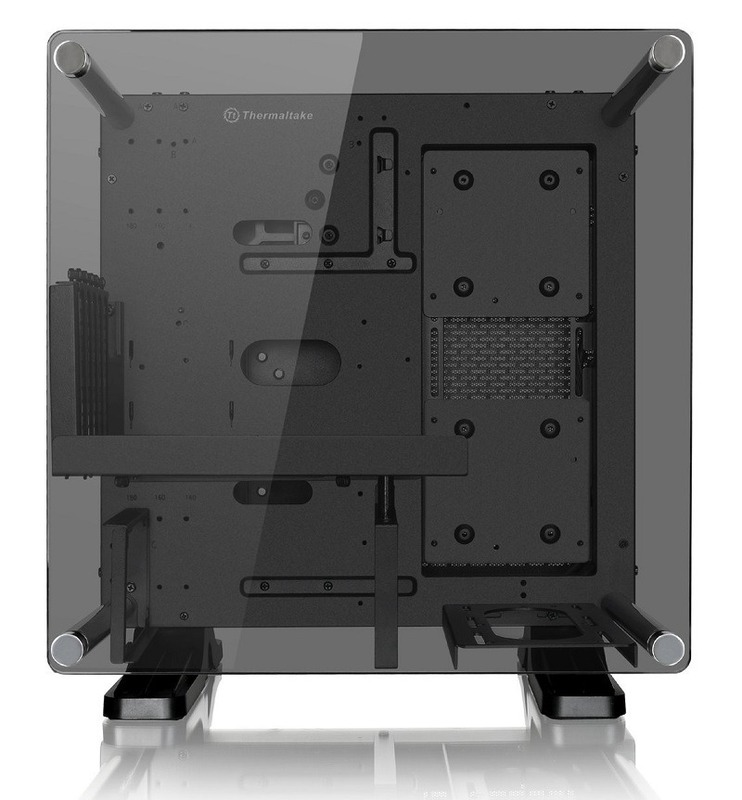 Thermaltake Core V1 is a small cube which has decent material quality and comes with a lot of mesh for easy air flow. 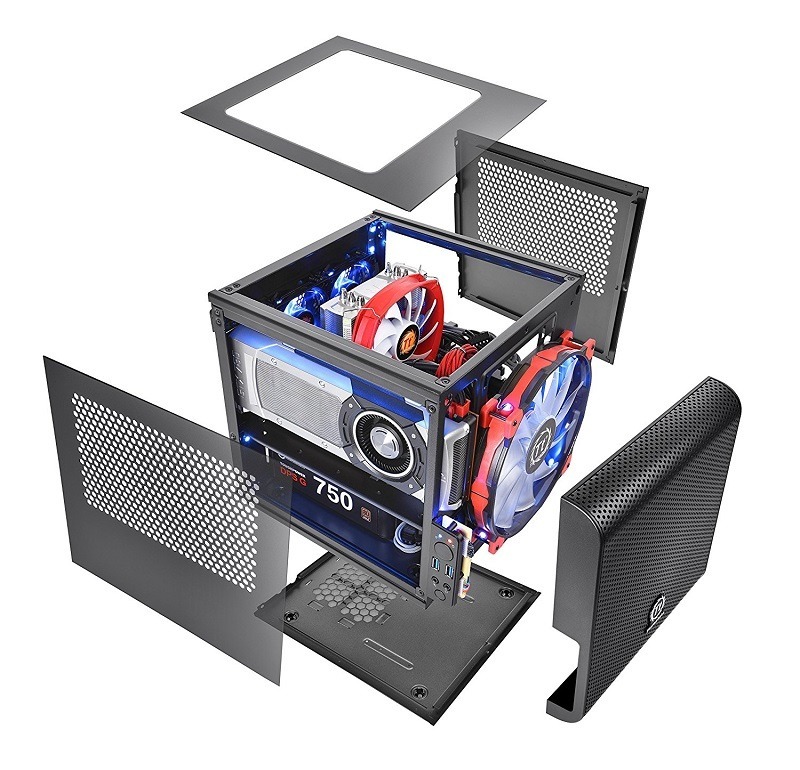 The case is also compatible with custom water loops and allows you to install thick 120mm radiators. This case is the smaller version of the V21 and is in a shape of a cube. 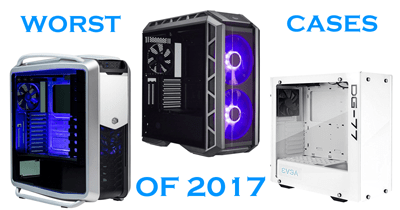 It takes very less space and has, even more, ventilation than the Cooler Master Elite 130. The front, side panels have the mesh that provides ample cooling from all the sides making it easy for a pull-push configuration. For storage, there are two HDD or SDD bays that you can use for either storage device. The location is totally uninterruptible and allows you to build the PC much easier. The case also comes with a pre-installed 200mm fan at the front which is huge and is enough for intake. This makes it a good option as you don’t have to buy custom fans separately. 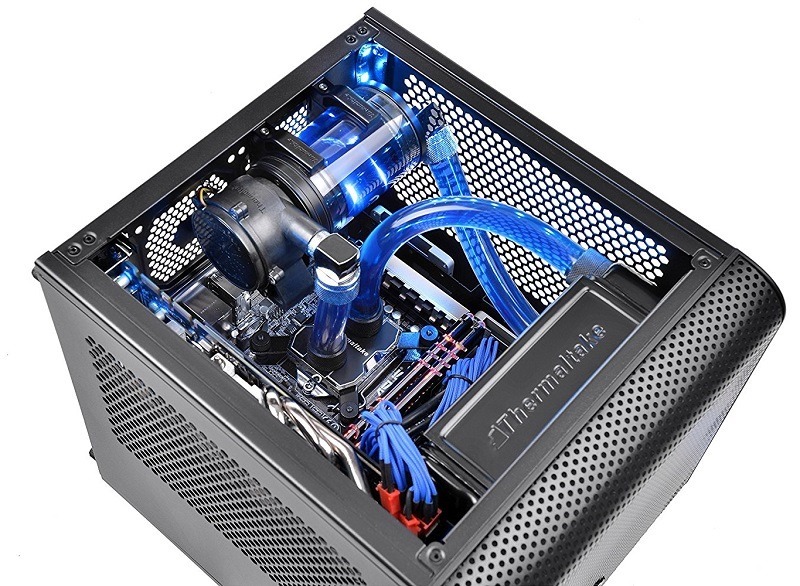 To exhaust the hot air from the CPU, you can also install medium sized CPU coolers having the height up to 140mm which is 75mm more than the CM Elite 130 can support making ventilation easier and the support for different types of coolers an advantage over the CM Elite 130. Although the price is more but when you invest a little more, you will be more flexible with this case. The external ports are present at the left side which has two USB 3.0 ports, Reset and power switch. So, nothing spectacular here. 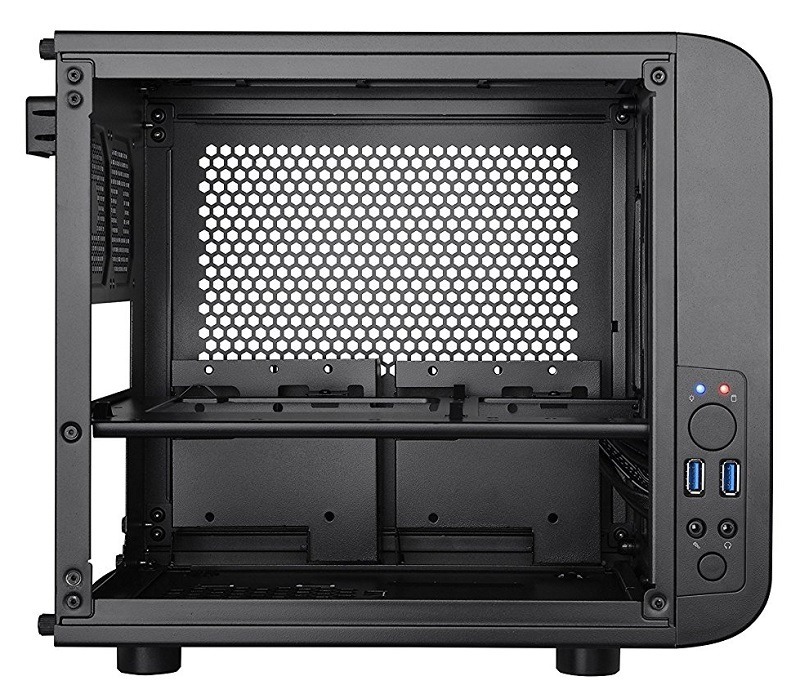 But the top panel of the case has a transparent window through which you can see the interior which isn’t present in many of the Mini-ITX cases. A perfect cube for saving space which has a lot of ventilation and comes with a pre-installed huge 200mm fan for intake. 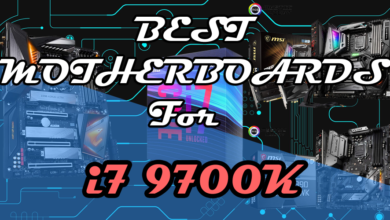 The support for medium sized CPU coolers makes it a good option over other compact Mini-ITX cases and the support for custom water loop is an advantage that you can't go wrong with. 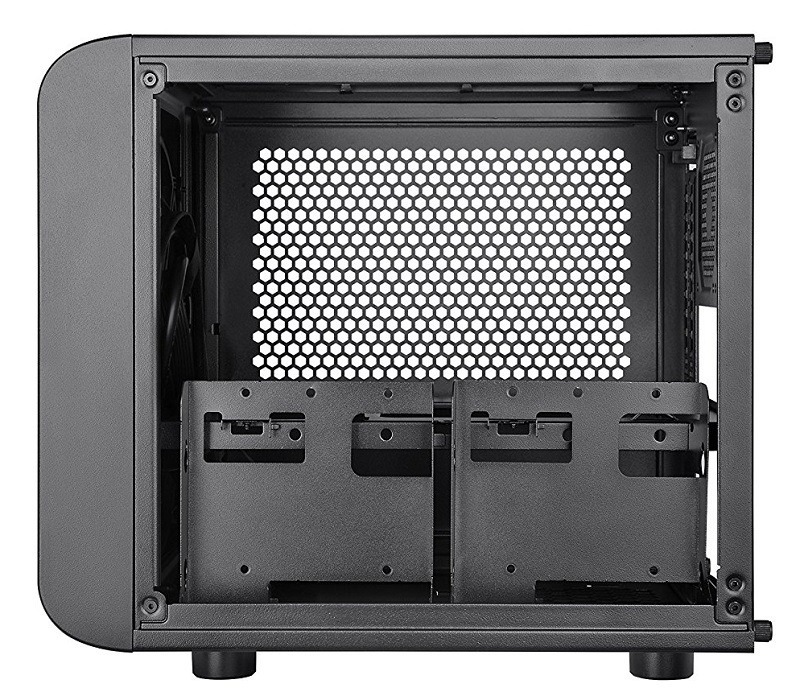 Corsair Obsidian 250D is a good quality cube case which has a transparent window at the top and has support for 240mm radiators inside. 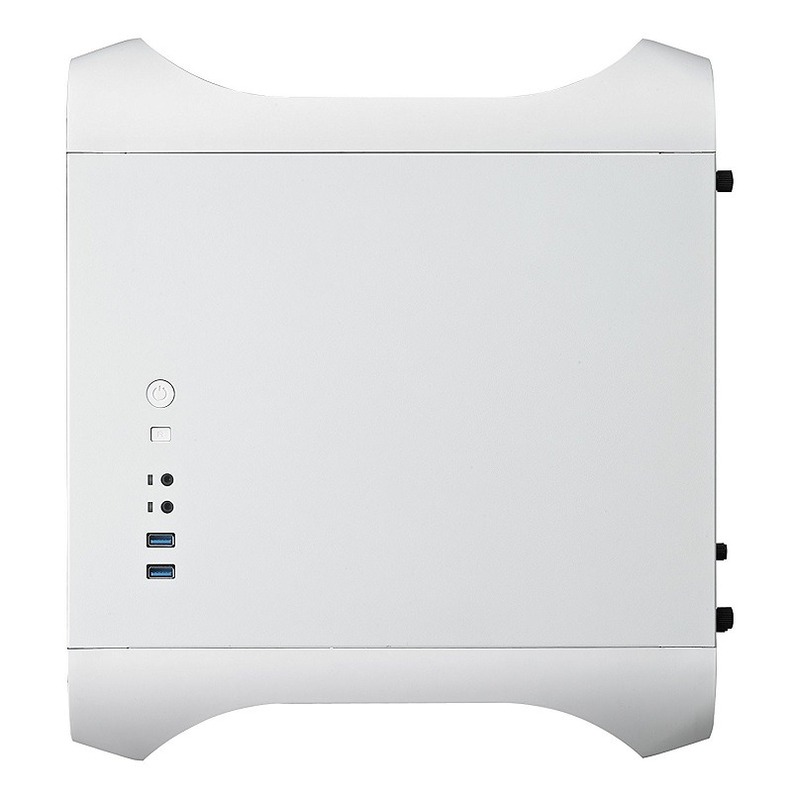 The case has good ventilation and also supports medium sized CPU coolers. The brushed aluminium look gives it a classic look and the support for the optical drive is rare in Mini-ITX cases. 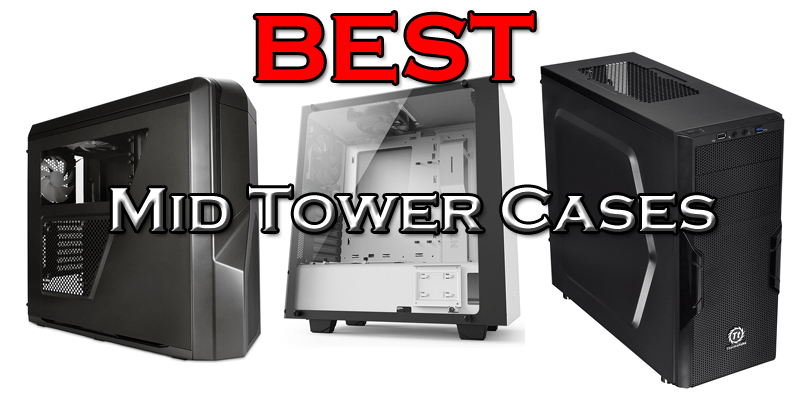 Do you want a nice looking case with better reliability? If yes then this case is for you. 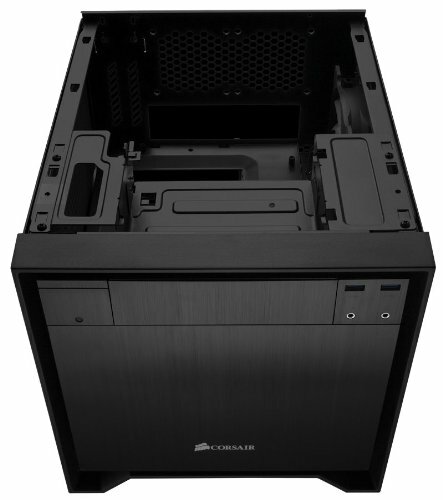 It’s from Corsair and just like the above two it is also highly customizable and is good for ventilation. It supports full-sized graphics cards and other components and you can also install a 240mm radiator for your CPU. The front panel looks glossy which is made of Black anodised brushed aluminium which is scratch resistant and has two USB 3.0 ports and audio input/output jacks. For cooling, it comes with its side panels meshed and has a 140mm fan for the graphics card too. Although you can install a very long graphics card in this case but the maximum length limit is 290mm, so you can install a dual fan or reference graphics card with no problem. However, if the graphics card has three fans like that of Zotac GTX 1080 Ti amp, then you must not buy this case. 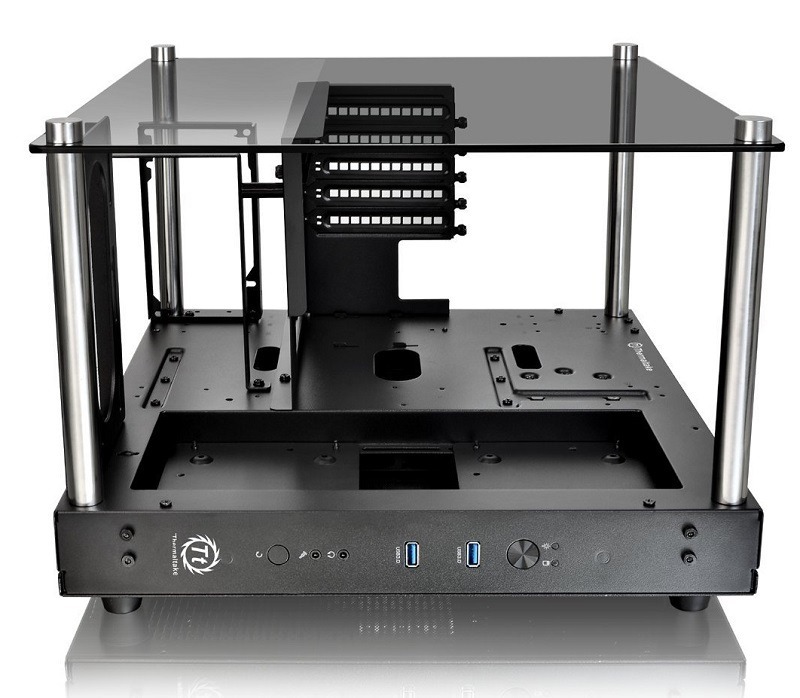 But in a mini-ITX case, you should expect for more. One of the side panels can support dual 120mm fans for better cooling and you can also install hydro cooler like Corsair Hydro Series H100i instead of those fans. The other side panel is transparent and you can see all of your components from outside. 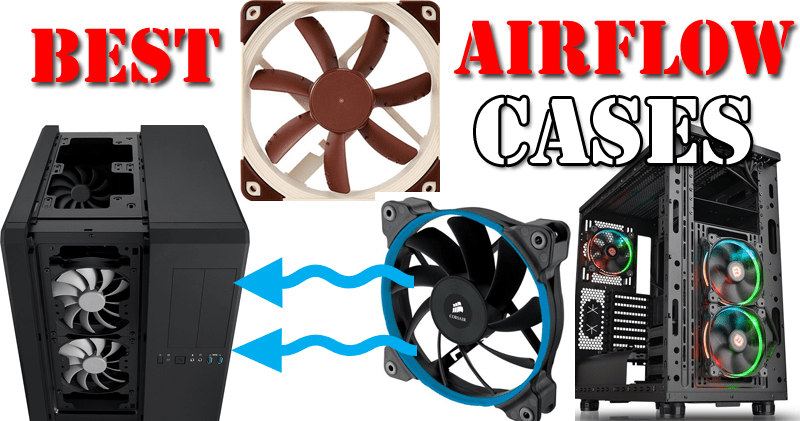 The case, in my opinion, is fine for cooling as it supports multiple sized fans from 120mm up to 200mm among which it comes with 1x 140mm pre-installed Corsair AF 140 fan which is just a fine option for cooling. A very decent case with decent ventilation and support for 240mm radiator. 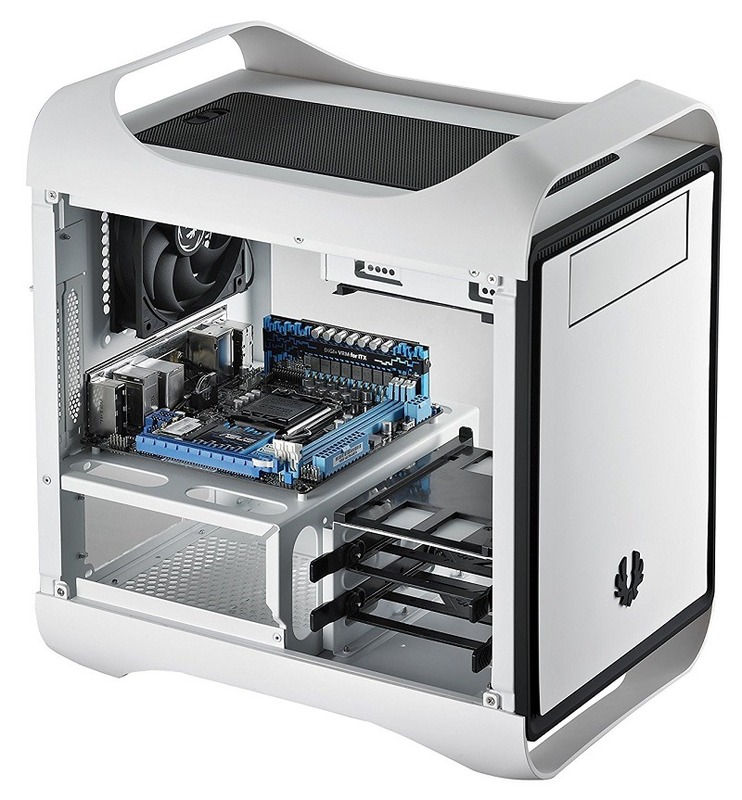 The case can also fit in medium sized CPU air coolers and the room for cable management is appreciable. 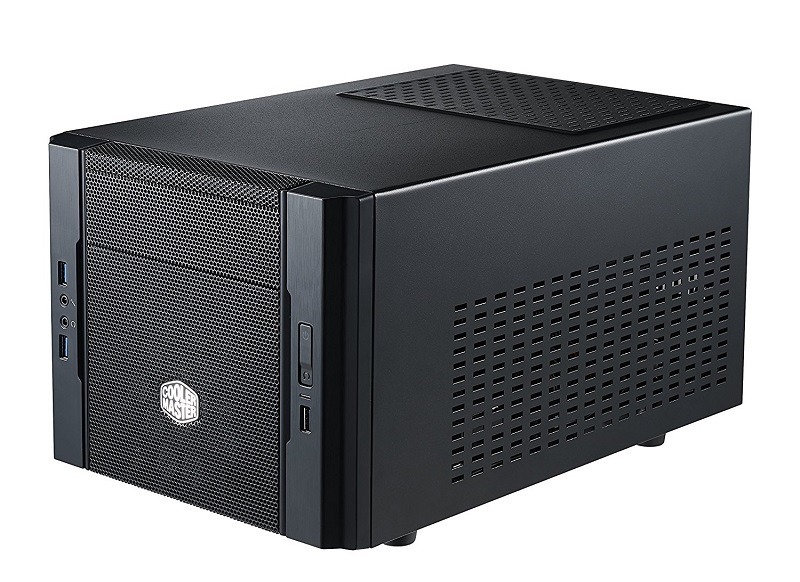 BitFenix Mini-ITX case is a shorter version of a normal mid tower and is not that compact as a Cooler Master Elite 130 or Thermaltake Core V1 but it comes with a lot of support for installing several hard drives and tall coolers and radiators. 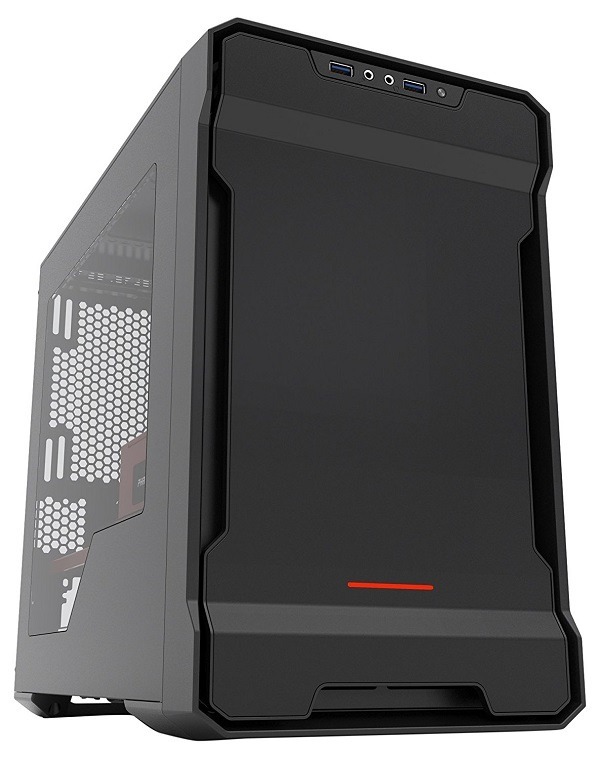 The case is modular and comes with an Optical drive bay just like the Corsair Obsidian 250D which makes it compatible with most of the components. This case is designed for portability and is made with the BitFenix FyberFlex Composite that is good for shock absorption and makes your case looks modern and stylish. This case is highly customizable and the mountings inside it can be adjusted according to your use. It also has a total of 4 handles for portability unlike the previous cases, so it actually makes this case a real portable LAN party case. 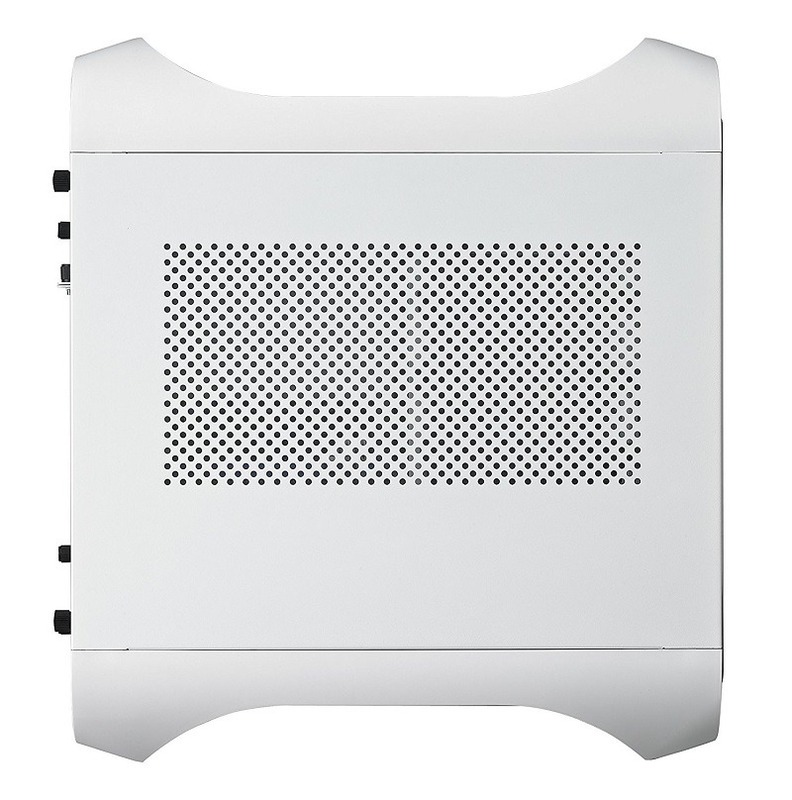 For cooling the case has mesh sides, top, and front with one ODD support. 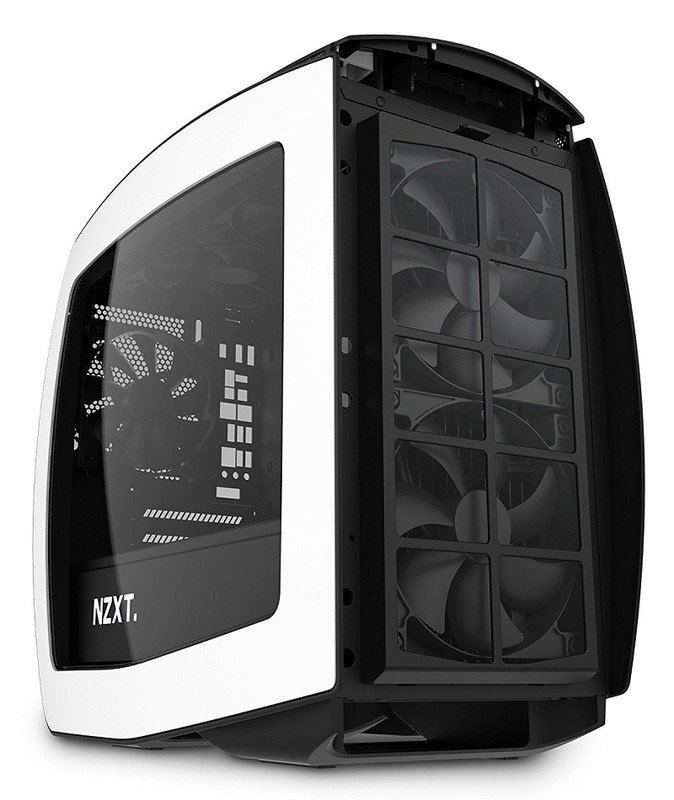 It supports up to 5 custom fans and a good radiator support at the top and rear. So you can either install a 240mm radiator at the top or a 120mm radiator at the rear. It’s not even bound by the CPU cooler height limitation. It supports CPU coolers up to 160mm in height which will fit most of the coolers but I recommend going for the liquid cooler for which it’s specially made of. There are 5 drive bays for 3.5″ drives in which you can install 5 hard drives or up to 9 SSD’s. This feature is really badass although you can’t install a long graphics card if you put all the drive bays together. 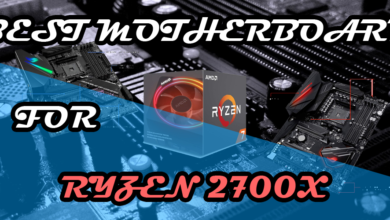 The other thing you can do is that you can remove all of these mounts and install a 240mm radiator at the front and long graphics card for better performance and cooling at the same time. 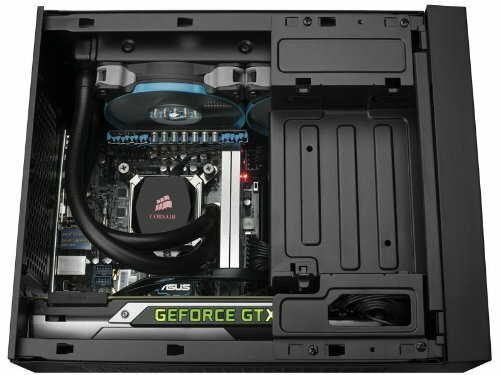 The official page says it’s possible to install a 240mm radiator at the top and some users also said the same, however, I am not sure how is this possible if there is an Optical drive bay at the top. Nonetheless, it’s also possible to install tall CPU air coolers in this chassis. The side panels have small honeycombs like holes which are good for ventilation and you can install multiple fans at the top, rear or at the front. 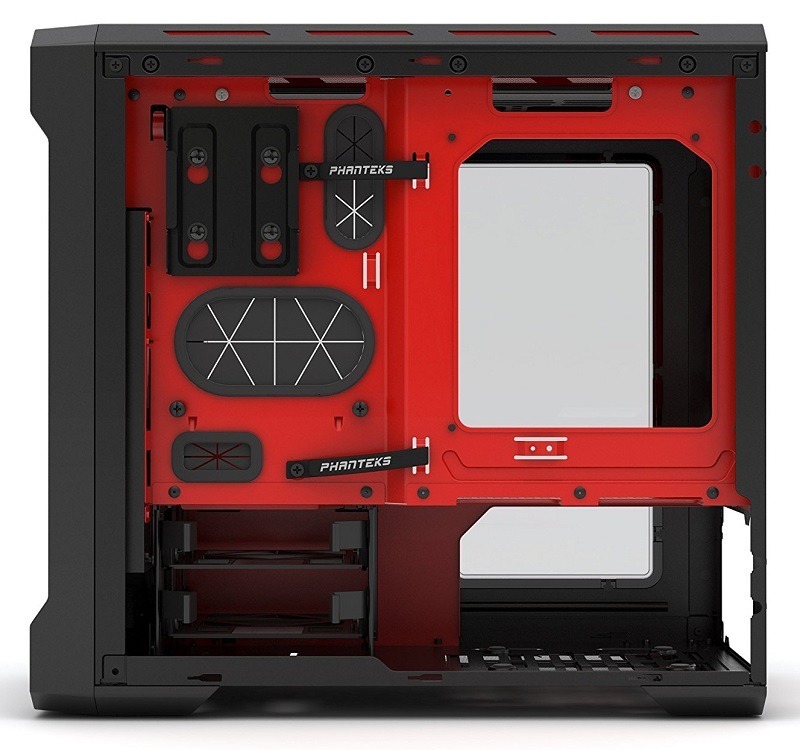 This case is present in m6 different colours which you can choose to match your components. A perfect case for cooling, storage, and productivity. Although, not small as the Cooler Master Elite 130 but has enough room for installing all types of components with good cable management. Perhaps, this case is much better for the price you pay for it. It has a similar design to a mini Mid tower and has a huge motherboard tray cutout for installing a custom CPU cooler easily. The back of the motherboard tray doesn’t have enough room for thick cables however, the side has a little deeper space where the cable grommets are. Since most of the cables will pass through that area, you won’t have any problem in routeing the cables together with those two Phanteks straps. 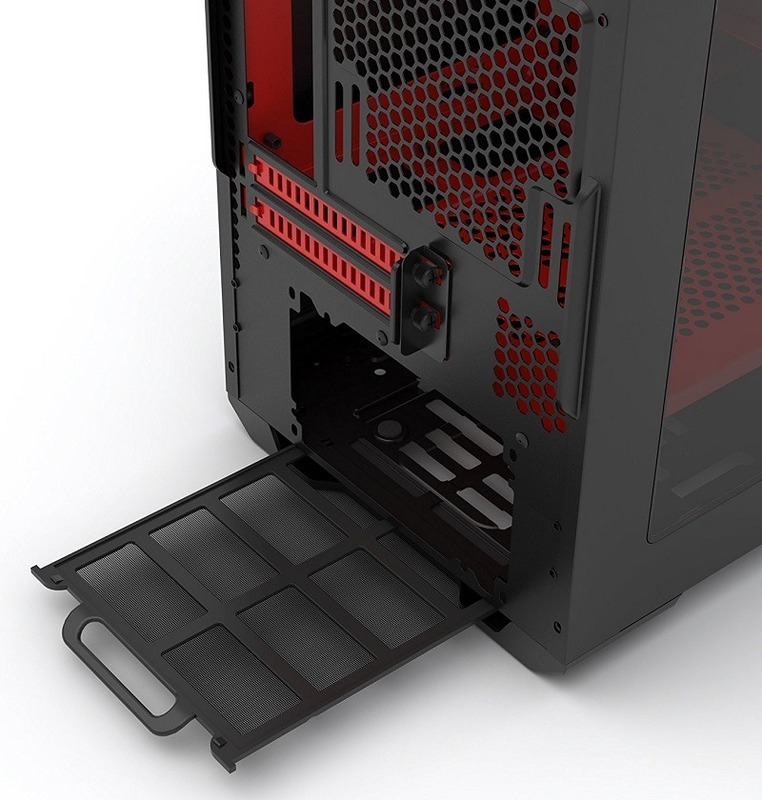 The case is fully compatible with up to 280mm radiator at the top and can support a 240mm radiator at the front. 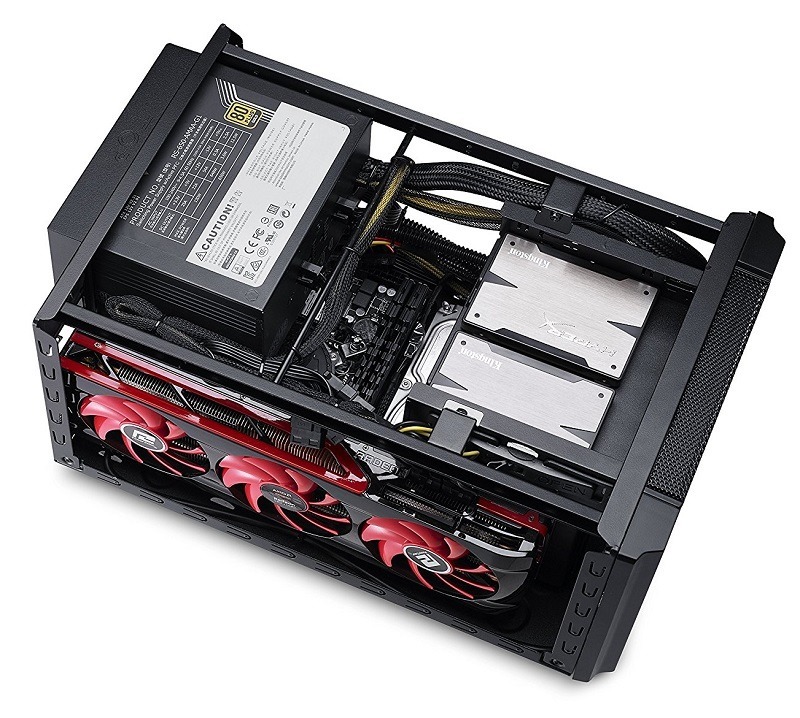 Or you can just use a full tower CPU air cooler and use 5x 120mm fans or 5x 140mms fans at the top, front and rear. This thing is insane in support for cooling but however, the Con is that there isn’t enough room for intake at the front. The front panel somehow stops powerful air flow and there is no proper air flow at the top too. So, here is one down for this case. 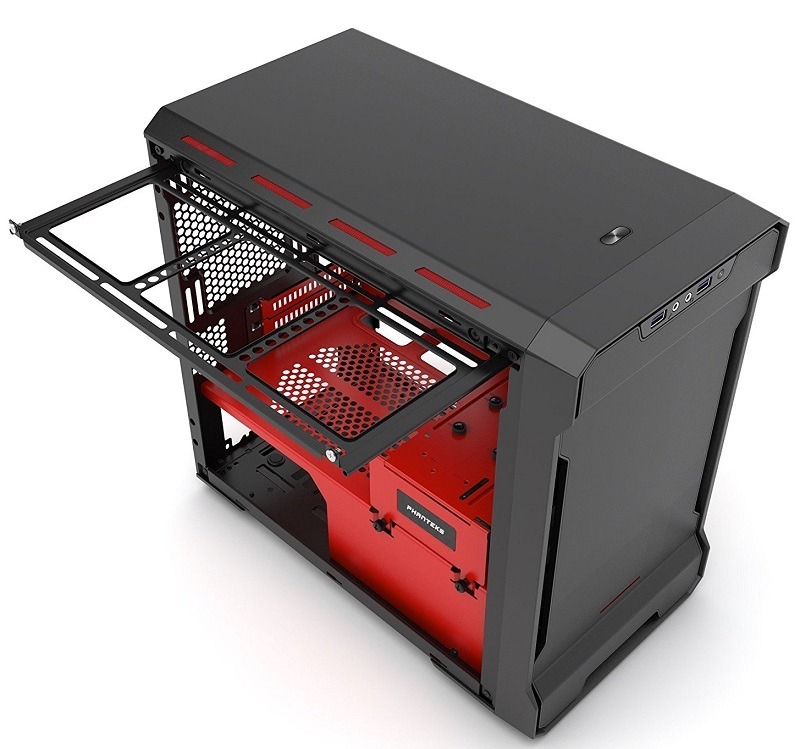 But to be honest, it looks fantastic and has modular drive cage inside in which you can either install a Hard drive or an SSD or you can just remove that cage with the thumbscrews. The PSU shroud covers the bottom of the case completely and has a big cutout to show the brand of your PSU. For some, it can be a pro and for some, it can be a con. But if you don’t like to show the brand of your PSU, just use a spray paint to cover it. Also, inside the shroud, there are two drive bays for installing hard drives that are also removable. 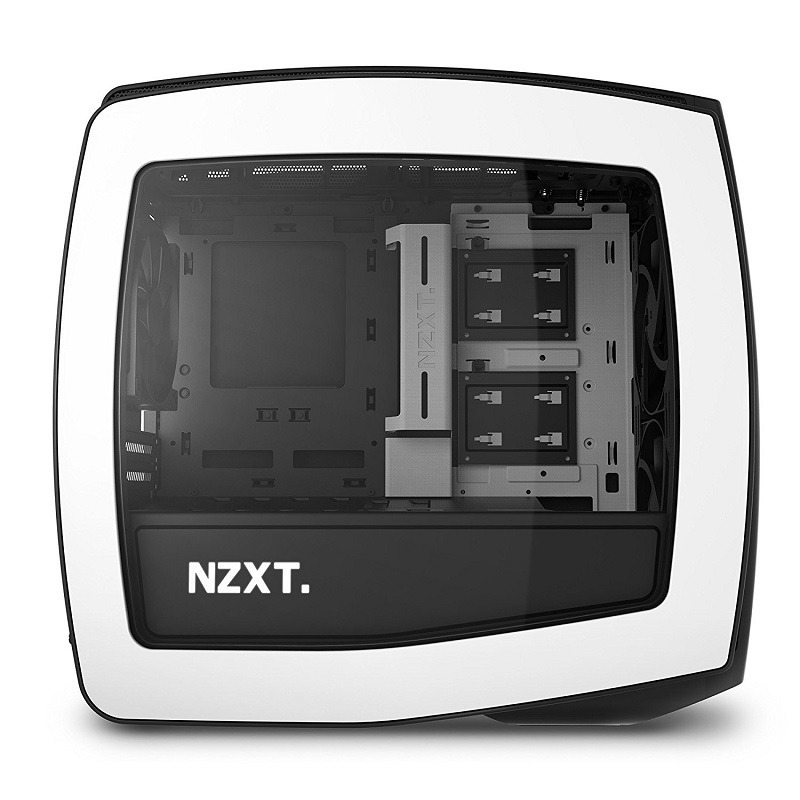 NZXT Manta is among the famous mini-ITX cases which are known for their air flows and unique design. The case has curved panels for more space and has modularity for customizing as much as you want. 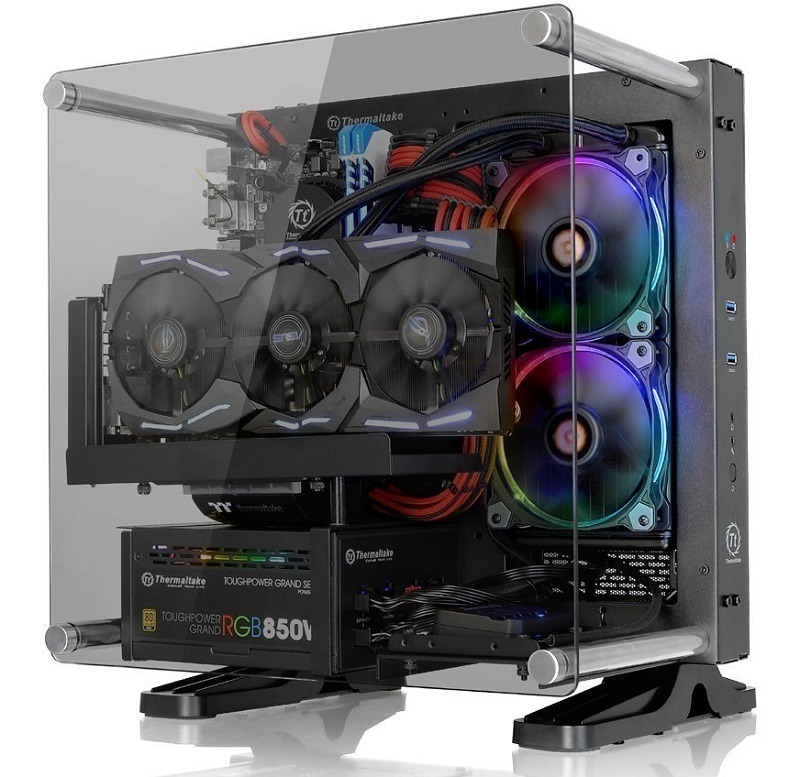 This case although, expensive but is a true dream for any gamer who want compact gaming build. Yes, it costs more than $100 but the features are elite. It has curved panels everywhere which are not for giving it a fancy design. They are there for some purpose. The purpose is better air flow. The gaps between those panels have the mesh which allows airflow from front and sides. The case is heavy and reliable. The quality is something which should be appreciated. 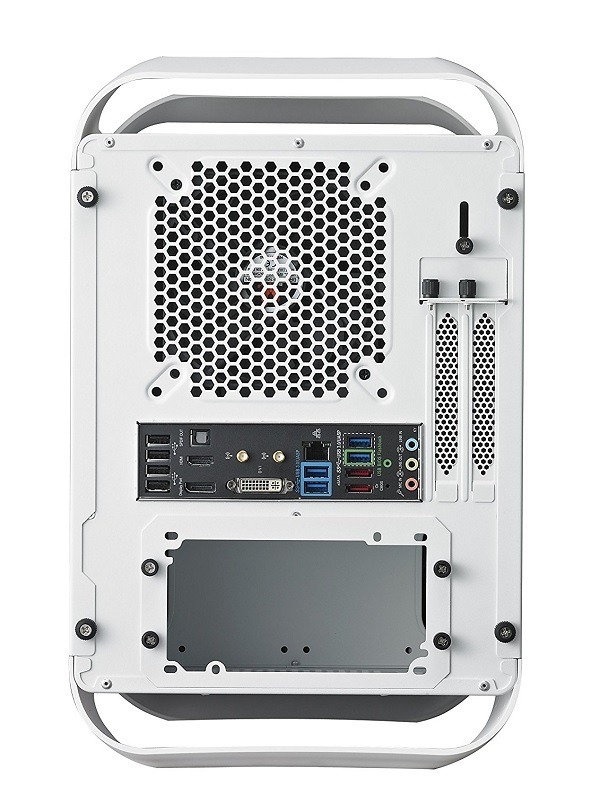 The case comes with pre-installed 2x 120mm fans at the front and 1x 120mm fan at the rear. But you can swap those fans and install bigger 140mm fans or radiators up to 280mm. The top of the case also has the support for 280mm radiator making it a good option in case you want to do several custom water loops. The case can support large CPU air coolers with height up to 160mm which is a feature generally present in a mid tower. The dust filters are also included with the panels and help to reduce dust accumulation. 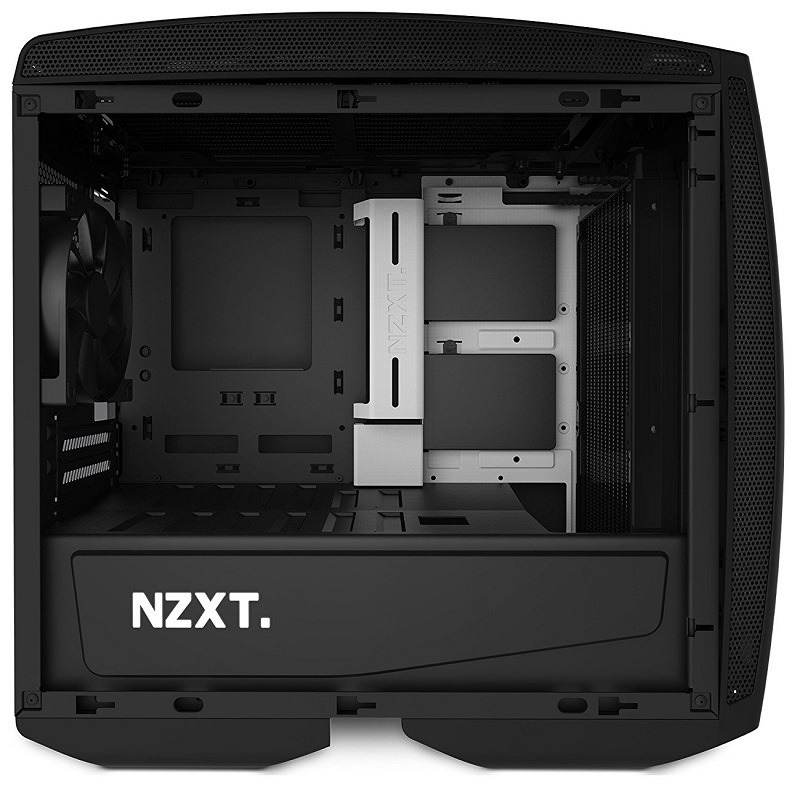 Cable management is also good just like NZXT S340 as there is a bracket that will contain all the cables together. Cables coming through the PSU shroud can be easily routed through that bracket and the cut out present at the PSU can be used for connecting the cables to the graphics card or hard drive. As the case is modular the drive cage at the front can be removed completely and you can install two SSD’s at the front of motherboard tray near the cable routeing bracket. Or you can install the hard drives inside the PSU shroud or at the back of the motherboard tray at the left side of the bracket. 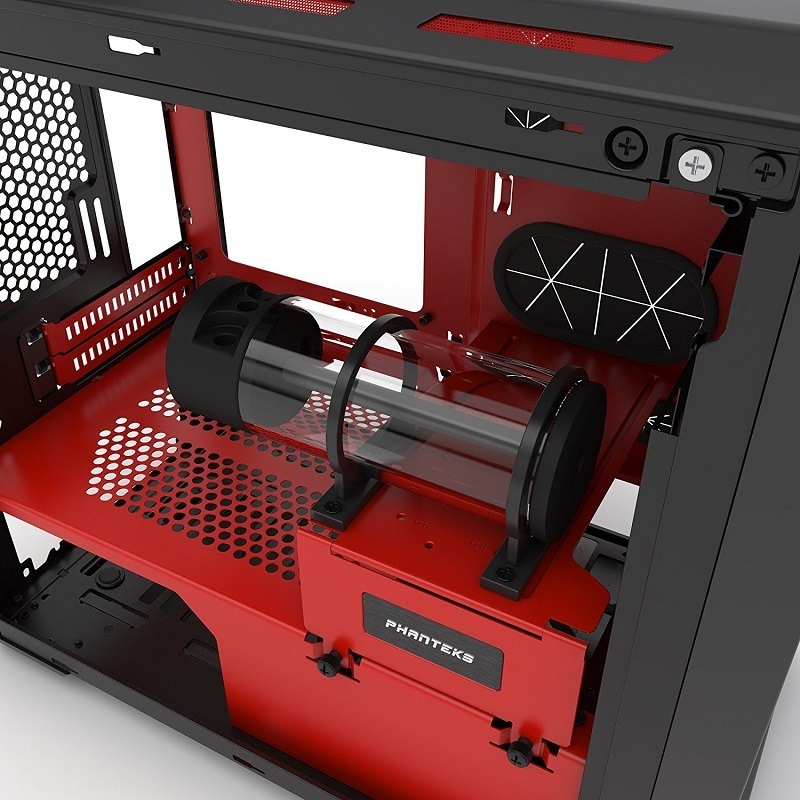 The case also has a hub for connecting chassis fans from different areas and you can manage all those thin cables at one place. 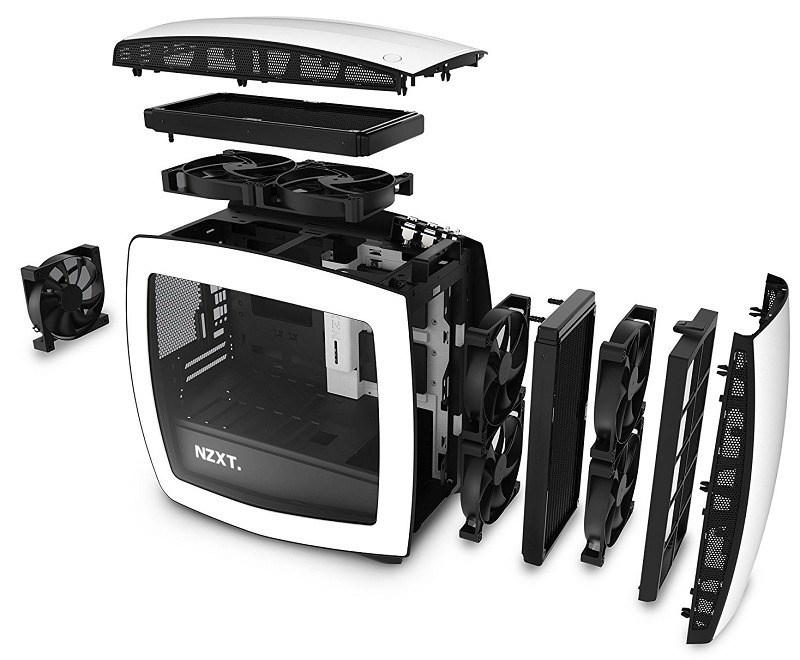 NZXT Manta is a balanced mini-ITX case that has everything in it. From cable management to components support, this case is a complete compact package for your build that has some unique aesthetics as well. Aesthetically Thermaltake Core p1 is the best mini-ITX case in my opinion. As it features a tempered glass to show all the components and comes with the option to mount the graphics card vertically, you can see your LED’s through the large window from all sides. 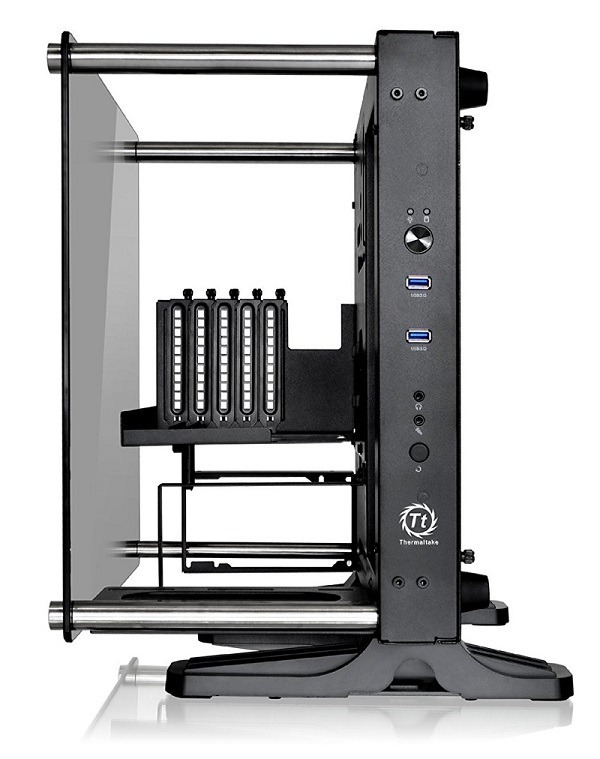 Core p1 is a type of open frame case which supports Mini-ITX motherboards and comes with a tempered glass. The sides are all open for airflow but at the same time expect some dust to accumulate faster than any other on this list. However, keeping that CON aside, we have a lot going on here. 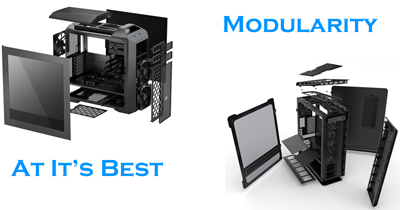 The case is fully modular which means you can literally take everything apart and customize according to your needs. 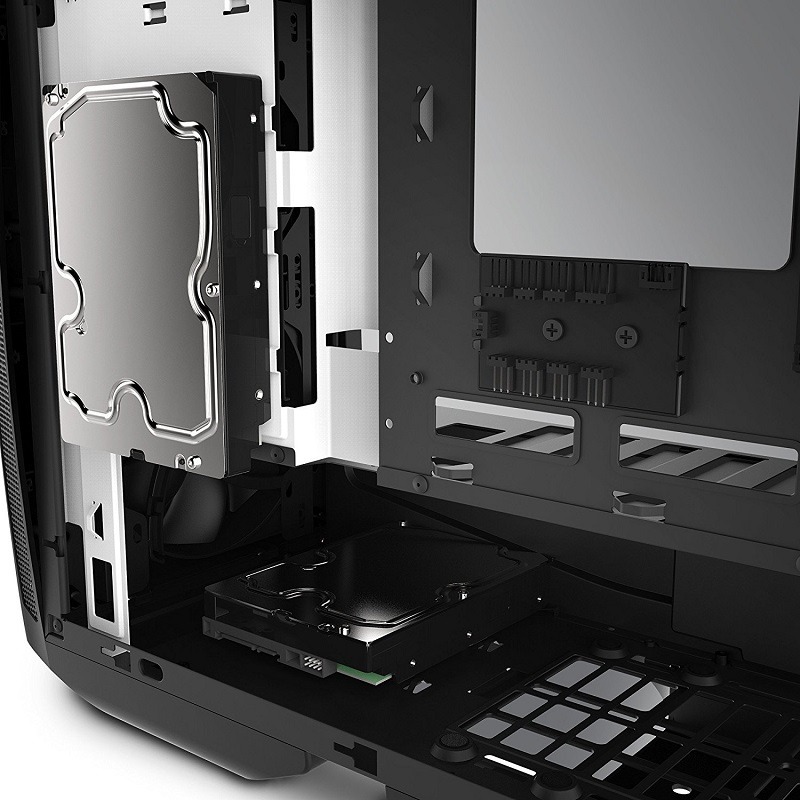 The case has drive bays behind the motherboard tray which can support hard drives as well as SSD’s. The front side also has an SSD drive bay and the ones behind the back panel will be completely hidden along with their cables. As there is a lot of space behind, you can route wires through the corner. 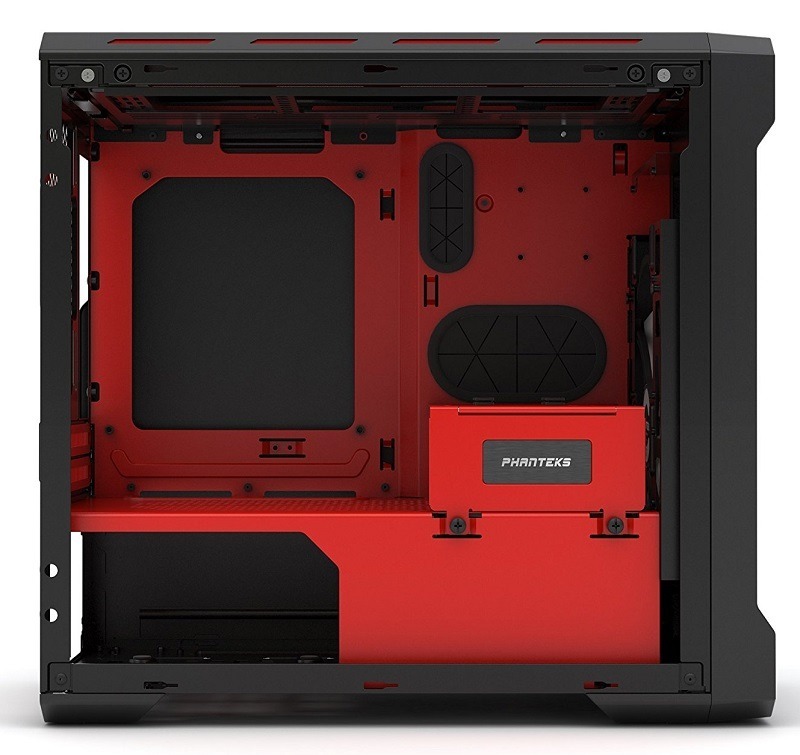 The only thing it’s missing is the rubber grommets and separate cutouts for motherboard ATX power connector and CPU power connector. You have to route them through any of the three cutouts present on the motherboard tray which doesn’t make it that much cleaner. But it can surely support 240mm radiator which has a different place in it when compared to the other cases. The hot air won’t be blown on other components and your system will stay cool. The case doesn’t have any other place or more places for installing radiators, so you can not expect it to be like some of the previous cases which I have mentioned above. For the graphics card, you can align it vertically or horizontally. There are 5 PCI expansion slots from which you can choose any two to install the graphics card. Now, personally, I feel that’s unnecessary and necessary at the same time. Unnecessary because there will be only one GPU installed on a mini-ITX motherboard, so why not use only two? Necessary because the PSU will take a lot of space below it and there will be a lot of empty space if it will only have two PCI expansion slots. So, it will ruin the symmetry and make the easy bending of PCI expansion cable difficult. So, it has its own cons and pros. Now the best advantage of this case is placement. You can either wall mount it or keep it on the desk vertically or horizontally. It’s very flexible and works according to the setup you are trying to make. 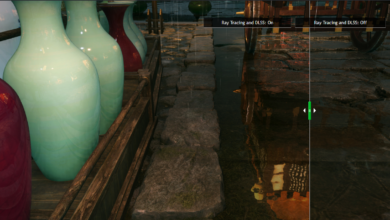 Whenever you want to change the look of your setup, you can use it according to that. Thermaltake Core p1 is the younger brother of Core p3 which supports mini-ITX motherboards but doesn't compromise with the design and cooling. It's decent in cooling and has support for custom water loops. 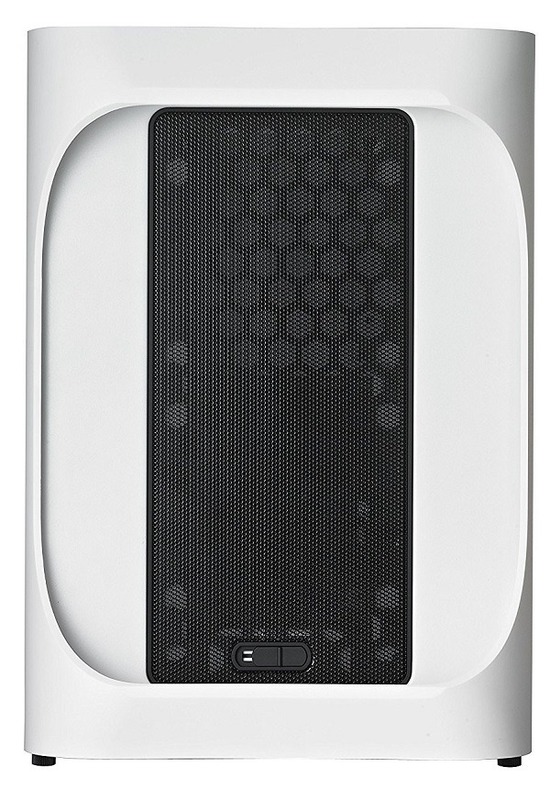 The case can either be wall mounted or placed horizontally or vertically which makes it adjustable in every condition.